Cement workers face many dangers, and accidents at work are common. While workers’ compensation can cover some of the medical expenses and lost wages from an injury, it often does not offer the full compensation an accident victim needs for his or her long-term physical, financial and emotional suffering. If you are in this situation, there is hope. Depending on how your accident occurred and its cause, you may be able to sue other parties liable for your injuries, so long as they are not your employer. This is called filing a third-party claim. Only an attorney can assess whether you are eligible to file such a claim, so do not hesitate to seek legal assistance. The cement accident lawyers of The Orlow Firm in The Bronx have more than 120 years of combined experience and have handled numerous third-party claims throughout their careers. When you work with your law firm, you will speak directly with a named partner at the firm. 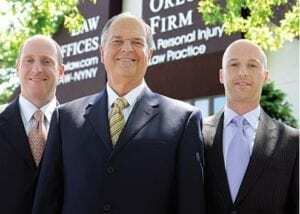 We believe you should expect that of any law firm that you hire for a work accident. We understand the nuances of construction accident cases, including those involving cement workers. In addition, our experienced attorneys can refer you to a qualified workers’ compensation attorney to effectively evaluate your case and provide an honest assessment of your legal options. You can count on us to fight for your best interests. If you or a loved one has been injured at work, contact the Bronx personal injury lawyers of The Orlow Firm. We will thoroughly evaluate your case to determine whether you are entitled to third-party injury compensation in addition to workers’ compensation benefits. We can go to you if you cannot come to us. Call (646) 647-3398 or contact us online for a free initial consultation.